I can’t help it. When a person wearing what looks like a well worn in pair of jeans sits down, I subconsciously pay attention to a few areas: The shins, backs of knees, and the front-upper thighs. What I am looking for is the way the wear patterns match the wear. Usually, I notice that the stacks, whiskers, and honeycombs don’t match the way the wearer is sitting. It’s not their fault. Designer Distressed jeans have been around longer than I have, but I now think that they’re all pointless. Distressing jeans creates artificial wear patterns that match nothing, and are meant to “look good.” A better solution: Make your own, naturally. Enter raw denim, like the pair pictured above. Contemporary denim undergoes several processes. After weaving, the denim is often washed. This accomplishes a few things. Firstly, it shrinks the denim. After weaving, the cotton fibers are left stretched beyond their naturally comfortable positions. Simply wetting the fabric and allowing it to dry is enough for the fibers to contract, and it takes a lot of time and pressure for them to reach their pre-shrink length. Secondly, it removes excess dyes leftover from the pre-weaving process, and introduces new dyes or patterns if an “Acid Wash” or “Indigo Wash” is being used. This wash only removes the dyes that are easily lost by the denim, and can help prevent the final product from shedding indigo onto other articles of clothing. Thirdly, it removes leftovers from the weaving process like Wax and Starch. What you end up with is a piece of fabric that is soft and pliable, making it easier to use in clothing construction. This industrial wash usually strips more from the denim than a lighter wash in a washing machine or hand-wash, and generates a lot of waste. Additionally, many companies wash the denim after it has been made into a pair of jeans to add more stylization. Raw denim, also known as Dry Denim, is different in that the denim has not been washed before being made into a jean. The denim itself may be “Sanforized,” a process that pre-shrinks the denim without submerging it in a liquid, but that’s it. As a result, the denim is stiffer. All denim is constructed from two fiber types: The “Weft” is the (usually) white fiber that you have probably noticed when you tore a hole in your knees, while the “Warp” is the thinner, blue fiber that interweaves with the weft. 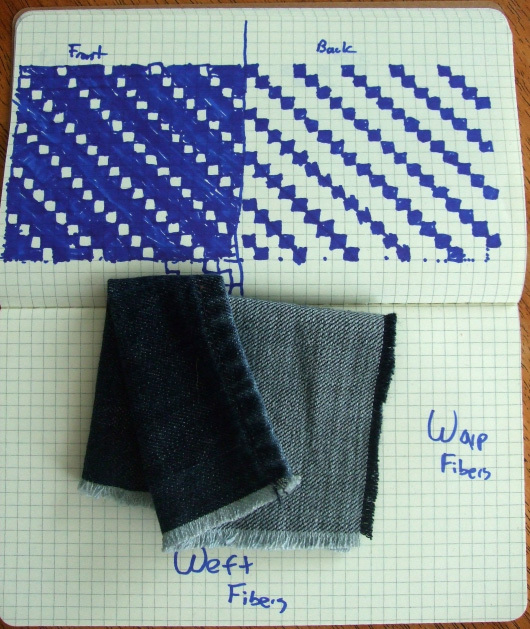 The ratio of the weaving allows for the outside to be mostly blue “Warp,” while the inside can be mostly the white “Weft.” Each Warp-Fiber is usually dyed on the outside, but still cotton’s naturally white color on the inside. 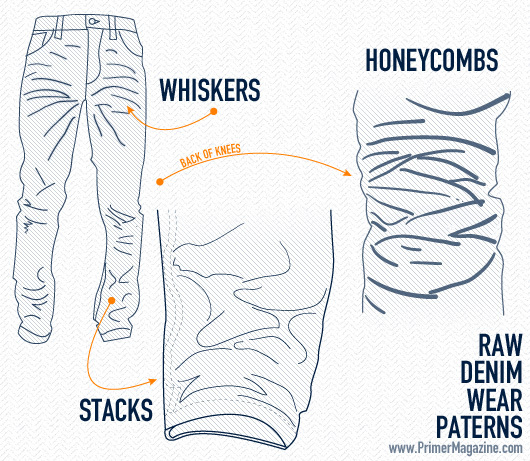 When the denim folds and twists on itself, these fibers get nicked by sharper, smaller particles present like starch. Eventually, this causes the warp to cut and fray, exposing the white core. While this can happen anywhere, in raw denim it happens at stress-points, adding patterns. As a person wears any article of clothing, their wear makes marks on the clothing. If you always sit so that a crease forms in your jeans, then that crease will become semi-permanent. In raw denim jeans, however, they develop quick enough to be present while the jeans are still wearable. By the time a pair of washed denim develops these patterns, the denim will be falling apart at the knees and other points. I have been wearing the same pair of Raleigh Originals Raw Denim, pictured at the beginning of this article, almost every day for over four months. They have not been washed a single time. They do not carry any detectable odor (trust me, my girlfriend would win a fight about washing them if they did), and do not appear dirty. This may not be true for everyone: I work in a laboratory with minimal exposure to messy fluids and grime. My brother used to wear jeans similarly, and worked in an office conducting most of his work on a computer. If I worked in a hospital, mechanical field, or even a different laboratory, my jeans may need to be washed more often. But for my job, they don’t. And because the denim is washed less often, it is able to fade naturally as it loses dyes to fading and wear rather than to a wash. I use less water and energy by washing them less often as well, and experiments have shown that they don't have any more bacteria on them than normal jeans. How Can I Recognize Quality Denim? 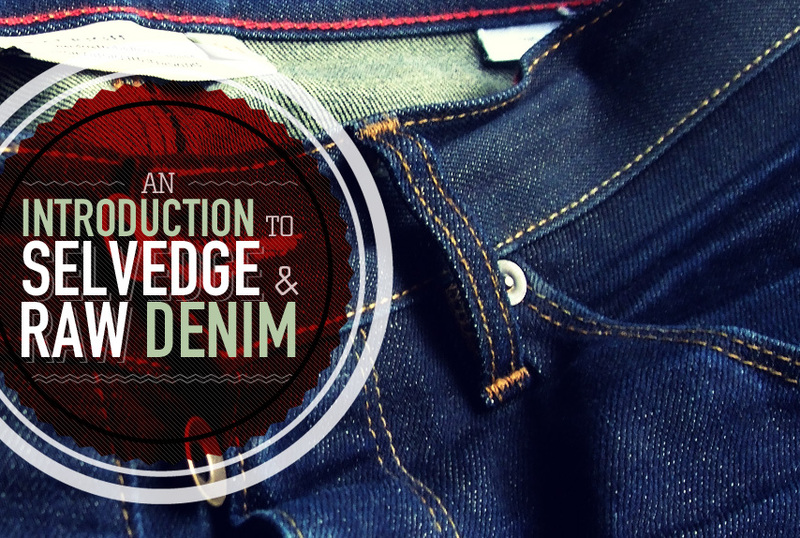 Understanding a few signs and terms can help in recognition of quality denim. Selvedge is a term derived from the words “Self Edge,” and means that the denim itself was made in a one-yard wide sheet with self-finished edges, whereas non-selvedge denim may be made in any size sheet and simply cut. 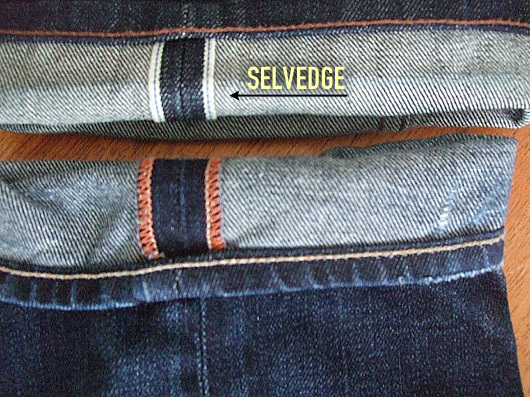 In the following picture, you can see a selvedge outseam on top, compared to a non-selvedge outseam. Selvedge denim is typically better quality construction, and lasts longer. Another term to be aware of is Sanforization. Sanforized denim is pre-shrunk, while unsanforized denim will shrink significantly during the first wash or soak. While many denim-heads prefer unsanforized denim, sanforization is not a quality measure. Stitching matters, however. In a chainstitch like the one above, roping-effects like those shown on the lower pair are slow to develop and generally do not become more pronounced than this pair. 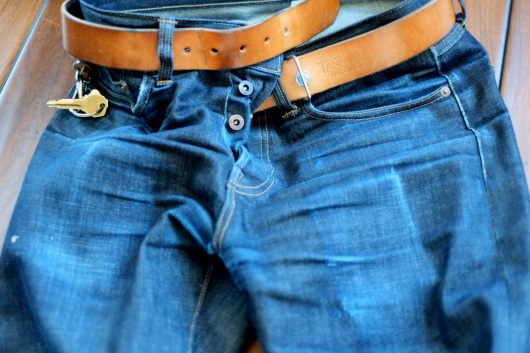 Lock stitched hemlines such as the one shown in the pair of Lock Sicker Denim below can cause extensive puckering after the first wash or soak, which may come to look unprofessional sooner. Seeing chainstitching used extensively on jeans is a positive for the overall quality. Another positive note in the picture of Lock Sicker’s below are the the white “puffs” sticking out on the left hand side of the selvedge line. These puffs are the ends of one length of weft tied to another. This is a telltale signal that a classic shuttle-loom was used for construction, whereas newer methods of making selvedge denim can tie off the weft in the middle of the fabric, cutting down on costs. Another consideration is the denim weight. Typically, this is reported in terms of “Ounces,” which is short for ounces per yard of fabric. Normal pairs of raw denim weigh between 12 and 18 ounces per yard. Lighter pairs will be easier to get used to, while heavier pairs may last longer. 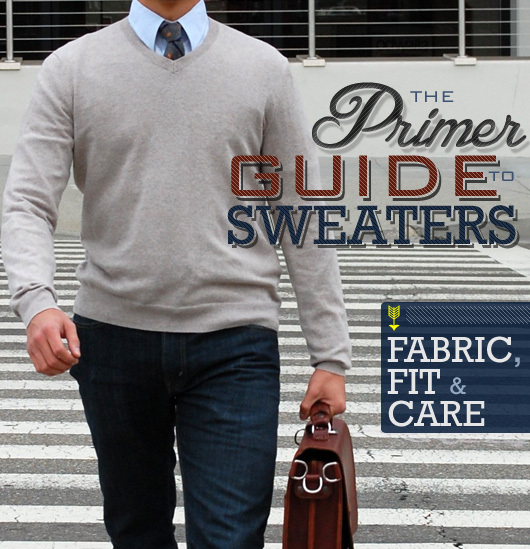 The heavier the fabric, the warmer it will be to wear. If you are new to raw, I would recommend something in the 12-13 ounce range. Finally, weaving style and slubbiness. Right hand twills are generally more rigid, while left hand twills are generally a little bit softer. 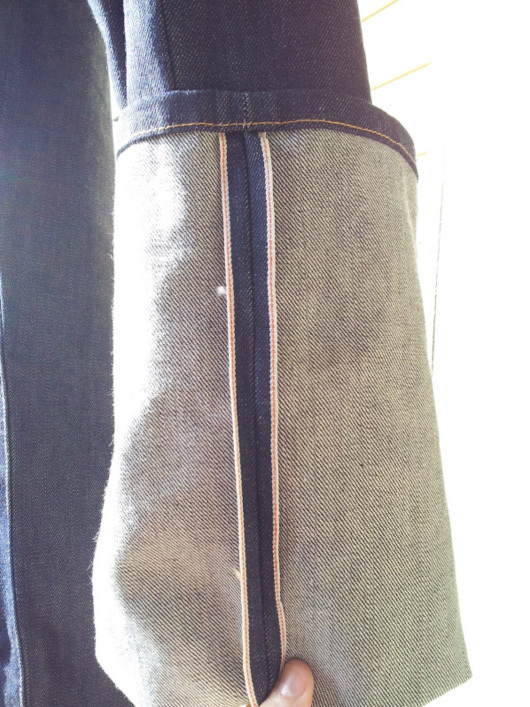 Left hand twill-denim is used less, although the preference for one style over the other is also a subjective matter. Slubbiness refers to imperfections in the denim, and generally hand-woven machines result in more slub than machine woven denim. Slubbiness is another matter of preference. If you have a pair of jeans you bought new that bore holes, paint marks, or fading patterns, it may be time to say farewell to them. 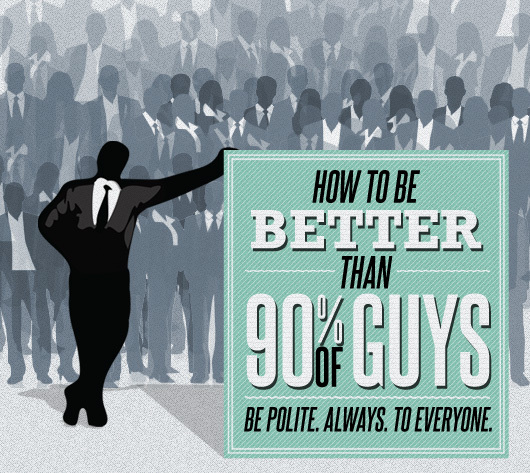 They don’t look professional; they may not even look good. Replacing them with a fresh pair or raw denim is a great choice: raw denim lasts longer, can be worn more often, and while it is new looks crisp and professional. Even after 8 months of daily wear, a pair of raw selvedge denim can look professional. See my brother’s Tellason Ankara’s, also pictured below. For some suggestions on where to get started in picking out a new pair of jeans, check out Grant Harris’s Q&A on Affordable Raw or Selvedge Jeans, as well as some premium brands like Tellason, 3sixteen, Raleigh Denim Company, or even the inexpensive Unbranded Brand. Depending on what your style, budget, and preferences, there is sure to be a perfect match in the form of high-quality selvedge denim. Check out the personal blog of my brother and I at Wefty + Mash for a few more ideas, too. Because raw selvedge denim generally uses better components, better construction, and has less production, expect to spend a little bit more on them. Inexpensive pairs can be as cheap as $40, with some strong contenders between $75 and $200. But for a fantastic pair of quality raw denim that will last you a full year or more without looking unprofessional to wear on casual Friday at a “shirt and tie Monday-Thursday office job,” don’t be afraid to spend over $200. Raw denim is an investment that gets better with time, lasts longer, and is safer for the environment than washed denim. Just curious. How would you recommend washing your denim, if you absolutely had to? i wash my denim twice a month. What sort of lab do you work in? Just curious, as I was a lab rat for many years and I wouldn’t usually associate us science types with style! Biochemical Nutrition, our lab focuses on more immunology than many others in our department. My project looks at evolution of viruses under various nutritional stresses of the host. Another great company is Rogue Territory out of LA. Karl is a one-man shop that creates an amazing product. Very true, Zac. When I wrote this article, I wasn’t very familiar with Rogue Territory. While I still haven’t seen Karl’s work in person, I have heard good things that make me think that it definitely belongs in the same tier as the others I have mentioned here. its a push but for people not in the states id recommend Huit Denim great company and amazing jeans. they take the whole washing things rarely very seriously! So what about Levis Rigid 505 jeans? It says that they’re sanforized, but some of the reviews say that they shrink too much. I’m really looking to get a pair of quality denim, but I cant afford to be spending much right now. The past 4 pair of shoes and 4 pair of pants I have came from the homeless people on the corner. To see one speak of spending over 200 bucks on a pair jeans is amusing. More amusing still is to realize you are speaking of a grade of denim I can well recall. Levis were 4.75 and took for ever to break in 1971. I can recall it was common knowledge that the right thing to do with a new pair, was to scrub them with a really stiff bristle brush on a pole, so you could scrub them hard, and to use octogon soap. It had to be done on concrete. Even that was not enough to make it so they felt anything at all like today’s prewashed feel like. It sure beat trying to just wash them repeatedly which is what most people did. That’s right! Respect for the Denim Culture Bruv!!! I think Denim maintenance is all about persion and love you have for it though. Clyde Carson – Can’t Complain ft. Iamsu! I know this is years old but Chainstitch isnt higher quality than lockstitch. It’s cheaper to produce jeans with a chainstitch, but chainstitch is inherently weaker than lockstitch. The only place where chainstitch is more desireable than lockstitch is on the hems, and only if done with a Union Special 43200G…where it can cause the roping effects you mentioned. Chainstitch can unravel easily if the thread breaks just right….lockstitch wont unravel more than a couple stitches. Trends in denim are really lovely…. Naija Mp3 and Naija Video are also unique only at Music Mp3 Portal. Looks great. Comfortable enough for Students who spend long periods sitting down listening to some boring lecture. Very informative, getting real quality Denim can be really difficult. Scholar G from South Africa. I have the same issue with you, and I do wash mine more than five times a month. Tell them. The country is in a needless dillema. SABRIC stated that from January to August 2017, 4,040 SIM-swop incidents were reported. This is compared to 8,254 incidents from January to August 2018 – an increase of 104%. Users fall victim to SIM-swop fraud following a phishing, vishing, or SMishing attack, which all aim to trick users into providing sensitive information to the attacker. The main advantage of conducting a SIM-swop attack is that you can access the victim’s one-time PIN (OTP) sent by their bank if their bank relies on mobile OTPs for verification. Their model is a bit different, but mine have been great. Haven’t washed them yet, but mostly because they haven’t needed it with the cooler weather. Many ways to get germs out. This one is still okay. I am so curious about the type of Lab you can do all these things. It is awesome.